Home » Christian living » Is your faith visible and able to save you? If you are a Christian who confesses Jesus as your Lord and Savior your answer would hopefully be yes, I believe in the Bible. Do you believe the Bible promises you Gods care and help if you believe in Jesus as your Lord and Savior? If you believe Jesus is your Lord and Savior it would be very difficult to give a negative answer to these questions. Of you course you believe in the Bible because Jesus is your Lord and Savior and you believe God will help you and care for you because of your faith in Jesus. This is what we have been told is the prerequisite to be saved. But sometimes, what you confess to believing might not be what you truly believe in your heart. When the day comes and you leave this earth it will not be what you confessed to believing that matters, it will be what you truly believed in your heart that will determine if you get to inherit this earth or if you will end up for an eternity in hell. So how many of you genuinely believe in the Bible because you know it is the truth, not because your pastor told you so? 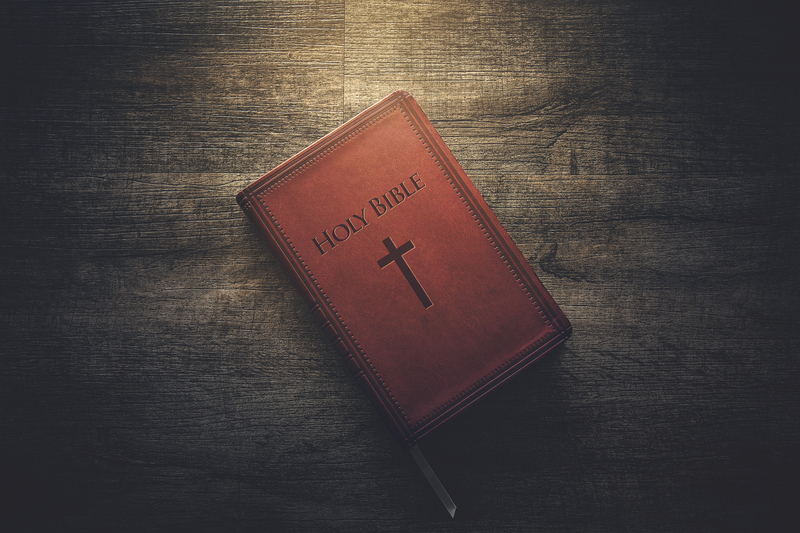 What does it mean to believe in the Bible, and can a Christian who does not believe in the Bible still be a Christian? A recent study showed that in America 73 % of the population identify as Christians, but only 17% believes there is an absolute moral truth, that the Bible is totally accurate in what it teaches, that Satan is a real being, we can’t be reconciled to God by works, God rules, and Yeshua lived a sinless life on earth. The Bible says the absolute moral truth is the Torah (the law of Moses) and because God cannot lie it is totally accurate in what it teaches. It goes on to say Satan is a real being and because Gods law says we can not be reconciled by works we must have the cross of Yeshua. The Bible also says Yehovah is in complete control over the universe and Yeshua lived a sinless life on earth. So only 17% of Americas Christians believe in the Bible. This would mean that 59% who confesses to being a Christian builds their faith on something else and not the Bible alone. Is it possible to be a Christian and believe you can be reconciled to God by works? Is it possible to be a Christian and believe Yeshua sinned, that Yehovah is not in complete control over the universe and the Bible is not the absolute moral truth? Is it possible to be a Christian and believe has mistakes and is not totally accurate? Of course, not, that is not possible. You can’t claim to be a Christian if you dont believe 100% in the Bible. When 59% of all Christians in America claim to be a Christian but dont believe in the Bible, we know there are in fact only 17% true Christians left in the country. So if Yeshua came back today, only 17% would be accepted into the Kingdom, 59% would hear those terrible words “depart from Me for I never knew you, your worker of lawlessness”. Where are you in this? Are you among the 17% or 59%? Do you believe in the Bible or would you fall into the category of the 59% who confesses to being a Christian but they dont believe in the Bible? Some might argue, salvation is by grace through faith in the cross, not by grace through faith in the Bible. How can you even make that distinction if you are a Christian?. If you believe the Bible is not the absolute moral truth how can you know for sure you are even saved? You can’t claim to be a Christian if you dont accept and believe in the entire Bible. If you are a Christian you believe the Bible is accurate and presents the absolute moral truth in the Torah. You believe Satan is a real being and because Gods own law forbids us we can not be reconciled to God by works. You choose to believe God (His name is Yehovah) is in control and Yeshua lived a sinless life on earth. How does it look like to be a Christian if you believe in the Bible? To answer this question, we first have to ask what faith is? If you believe the sun will come up tomorrow, you have faith in the sun, but it might not affect how you live your life. You can choose to sleep in the daytime and be awake at night; you can want to live your life independently of what the sun might or might not do and still prove that you have faith the sun will raise tomorrow. If you believe you are married you will choose to act on your faith to please your spouse and show him/her that you love them and that they are important to you. If you believe you are a parent you will choose to act on your faith and do whatever is in your power to care for and protect your children. If you are suffering from a fear of flying, you believe there is something wrong with the aircraft and you will act on your faith by being scared and refuse to board. So it is easy for us to see that faith can be two different things, you can believe in something without it having the authority to affect how you live, and you can believe in something, and it has the authority to affect how you live your life in both a positive and a negative way. Fear, worrying and anxiety come from you believing something bad is going to happen and your choice to act on that faith by becoming fearful, worried or anxious. Joy, hope, peace come from you believing something good is about to happen and your choice to act on your faith by becoming joyful, hopeful and filled with peace. Can a Christian who is a follower of Yeshua (Jesus Christ) have faith in the Bible without it affecting how they live their lives? We know the Bible says if you believe Yeshua (Jesus) is the Son of God, the Messiah, who died for your sins if you believe that you will become a child of God and inherit eternal life. If we really believe this it should give us good reason to have hope, joy, and peace but it should also give us good reason to repent from our sins. Do you believe it is possible to be a Christian, a follower of Yeshua, claim faith in the Bible without your faith affecting how you live your life? Matthew 5:16, James 2:10-26, 1.John 2:6, 1 Cor 11:1 says it is impossible to be a Christian and not let it affect how you live your life. 1. John 2:6 even says that if we claim to be one with Yeshua, we have to live as He lived. So if there is no evidence in our lives of living as He lived we are not one with Yeshua. If He kept the Torah (the Mosaic law) then 1.John 2:6 says we have to keep the Torah to be one with Him. James 2:10-26 says if our life does not testify of our faith in Yeshua by how we live we are not saved and our faith in the cross is dead. And let’s get real for a moment here, if we truly believe He died for our sins we would choose not to sin anymore would we not? So if sin is breaking the Torah (1.John 3:4) its only logical our faith in the cross would make us choose from now on to obey the Torah? So according to the Bible, a Christian can not claim faith in the Bible if it does not lead to a change in how they live their lives. This makes us understand even more Matthey 7:21-23 and James 2:10-26 where it says that the things we do will decide whetever we get into heaven or not when we die. Does this mean we can “work our way into heaven”? No, because the Bibles definition of faith is always active faith (James 2:10-26). If you believe He died for your sins your faith will show itself in your desire to obey righteousness which is the Torah. (1. John 3:7). I know so many preachers would tell you “we can’t obey the Torah, it is impossible to do so”. But if you open your Bible and read it you will soon see that the Bible says people are well able to obey the Torah, it even says it is easy to do so. (1.John 3:7, 5:3, Deut 30:4). By now we understand that even though 59% of all Americans confess to being Christians they will one day hear those terrible words “depart from Me, your workers of lawlessness”. What about you? Are you one of those who confesses to believe you are a Christian but your faith is dead, and cant save you? Perhaps you are one of those who believes Jesus is the Son of God who died for your sins, but you can’t accept all that the Bible teaches so you choose to believe it is possible to have faith in Jesus and just some parts of the Bible? Not to long ago a well known Christian pastor made this statement from the pulpit telling his congregation they could believe in Jesus, but they did not have to believe in the Old Testament. Another version of this lie is what is called dispensationalism where we are being told that we are now under grace and not law, so the Old Testament laws dont apply to us anymore. This in itself makes no sense considering what the Bible says that Yeshua kept the law, every disciple of Yeshua kept the law and 1.John 2:6 says we are expected to keep the law as evidence of our faith and unity with Yeshua. So if Yeshua kept the Shabbat we have to keep the Shabbat, if Yeshua ate only clean food we can eat only clean foods, if Yeshua never told a lie we can never tell a lie. In our part of the world, faith can be two different things, you can believe the sun will rise tomorrow and it will not affect how you live your life. You can choose to sleep in the daytime and work during the night, so you are not dependent on the sun. If you believe you are married, or you believe you are a parent it will always affect how you live your life. You will always choose to act on what you believe to make sure your spouse knows they are loved by you and your children are cared for, loved and protected. So we see how faith in someone always changes how we live our life. It is impossible to believe in someone without having your faith in that person affect how you live. This is what happens everytime you show up for work on time because you believe your employer has the authority to punish you if you are late so you choose to obey him/her and their rules for when you should come to work. Every time you choose to obey the speed limit you show faith in the government’s authority to punish you for speeding. So it should not surprise us how faith in a person always shows itself in a changed life. Even faith in ourselves shows itself in how we choose to live our lives. If you have to get up and make a speech in front of a group of people you might be nervous and scared, but to be able to do it, you have to have faith in yourself. If you dont get up and actually make the speech your claims of having faith in yourself have no effect. But if you claim to have faith in yourself and you get up and do the thing that scares you your faith is proven by what you do. John 3:16-19, 6:29, 11:25, Acts 16:30-32 are just some scriptures where it says if we believe in Yeshua (Jesus) we will have eternal life. What does it mean to believe in Yeshua? Most Christians would say it is just believing He died for your sins, but if that is so, why do we find Yeshua saying in Matthew 19:16-26 that we should keep the commandments if we want to inherit eternal life? Yeshua knew He was going to die for the sins of the world in Matthew 19:16-26, instead of telling the rich young ruler to believe in the cross He tells Him to obey the law of Moses. And why did He tell Him to obey the law of Moses when our pastor says it is impossible to do so? Yeshua did not just go to the cross to die for our sins, He lived three and a half year among us and taught us how to properly obey the Torah. If we claim to believe in Yeshua we have to believe in what he taught His disciples about the Torah, not just what He did for us on the cross. And if we claim to believe in Him our faith in Him will show itself in our decision to obey His teachings about the Torah. 1.John 3:4, 3:7, 5:3, Deut 30:4 tells us we become righteous and inherit eternal life when we choose to obey the law of Moses. It even says it is easy to obey the Mosaic law, so we know our pastor is wrong when he or she says it is impossible to obey it. So you cant claim to have faith in Yeshua and at the same time ignore the Mosaic law or ignore the parts of the law you dont like. Faith in Yeshua has to show itself in your decision to obey His law, the law of Moses. If you choose to obey His law, the law of Moses you will know that it demands faith in the cross for you to be accepted back into covenant with Yehovah. Obedience to the law is not enough because of Rom 3:23 says you have already failed at obeying it, and because of that failure Yehovah has already divorced Himself from you. It would be an abomination for Yehovah to accept you back just because you now choose to obey Him, but He can accept you back if you believe He died on the cross for your sins and you choose from now on to live in obedience to the law of Moses. So it is impossible to believe in Yeshua and ignore the Old Testament or the parts of the Bible you dont accept. Faith in Jesus/Yeshua will always be faith in the cross + faith in the law of Moses evident by your decision to obey. When there is a fruit of obedience in your life you know for sure you are truly saved. This also means you can not ignore things like the Shabbat and food laws and still claim faith in Yeshua. He kept the Shabbat, He obeyed the food laws and 1.John 2:6 says if we believe in Him we will do what He did. So the teaching of dispensationalism is not only unbiblical but also very dangerous because it will cause you to lose your faith in Yeshua and by losing your faith in Yeshua, you will lose your salvation. Do you believe Yehovah (God) can meet all your needs? We know faith can be two things, it can be either active or passive. If it is active, it will always show itself in how we live our lives, and if we claim to believe in a person, it is always active. When you were a child, did you believe your parents would care for you and protect you? If the answer is yes you never worried or stressed out wondering where your next meal would come from because you knew your parents would provide. Why did you not stress out being anxious wondering about food? Because you had faith in your parents and their ability and willingness to provide for you. Your faith in them showed itself as an active faith in your decision not to worry, not to be stressed out and not to be fearful. So what happens when He sees someone who claims to be a Christian but is fearful, stressed out and worried over their situation? He sees someone who lacks faith in Him and His ability to provide for His people, and that kind of person will not receive anything from God. (James 1:6, Hebr 11:6) So if you want Yeshuas help in your circumstances you have to believe He is able and willing to help you, and you have to show Him that you believe by how you choose to live your life. If you are a Christian, saved by the Blood of Yeshua, you will have chosen to believe the entire Bible even the parts you dont like. Your faith in the Bible will show itself in your decision to believe that Yeshua died for your sins, and a decision to obey the Mosaic law from now on. This will in turn show itself in a decision to believe Yeshua is well able to meet all your needs and deliver you from every situation, even those that are self-inflicted. Because of that faith, you will choose to live free from fear, free from worrying, free from anxiety when you know that you know you are righteous by works, reconciled by faith, in covenant to Yeshua who has promised to meet your needs. This proves to us that only the 17% have true saving faith in the Bible, the 59% who claim to be Christians will one day hear “depart from Me, your workers of lawlessness.” They are the ones who are right now struggling with anxiety, not knowing for sure if Yeshua will heal them and deliver them. But they are also the ones who choose to believe lies such as dispensationalism and that the law of Moses no longer applies to us. If your faith is active and able to save you, you will be among those that chooses to celebrate Shabbat today. Yeshua our Savior kept the Shabbat, He taught us how to keep the Shabbat according to the Torah. So if you believe in Him you will choose to act on your faith today by keeping the Shabbat. He said there is only 1 rule for Shabbat, and that is do not make others work for money and dont work for money yourself. There are of course exceptions to this, and He taught us to allow for Shabbat breaking if we have a medical emergency or a medical condition. So if you have a medical emergency, you are allowed to make others work for money, if you have a medical condition that makes it impossible for you do to certain things during the week and only possible during the Shabbat, you are allowed to break Shabbat. This can be something as simple as going to the hairdresser if you have a medical condition that makes it impossible or too demanding to go the hairdresser during the week you are allowed to do it on the Shabbat. The rule for Shabbat is that if it can wait, it has to wait so make sure to do your groceries today before the sun sets. If the answer is yes, make sure Yeshua sees your faith today when you choose to celebrate Shabbat. Do you need prayer? A prophetic word? I will pray for you and prophecy to you for free. Contact me using the “send message” buttons on Facebook. Next week I will publish another sermon from the word of God at the same time 01:00 am CET (Central European Time). Feel free to share this sermon to your Facebook or to download it and distribute it. The only thing I ask in return is that you tell others about this ministry so more people can receive free prayer, free prophecy and free teachings from the word of God the Bible. If you have questions concerning this sermon, or other sermons found in the online church, leave a comment in the comment section or send me a message on Facebook.